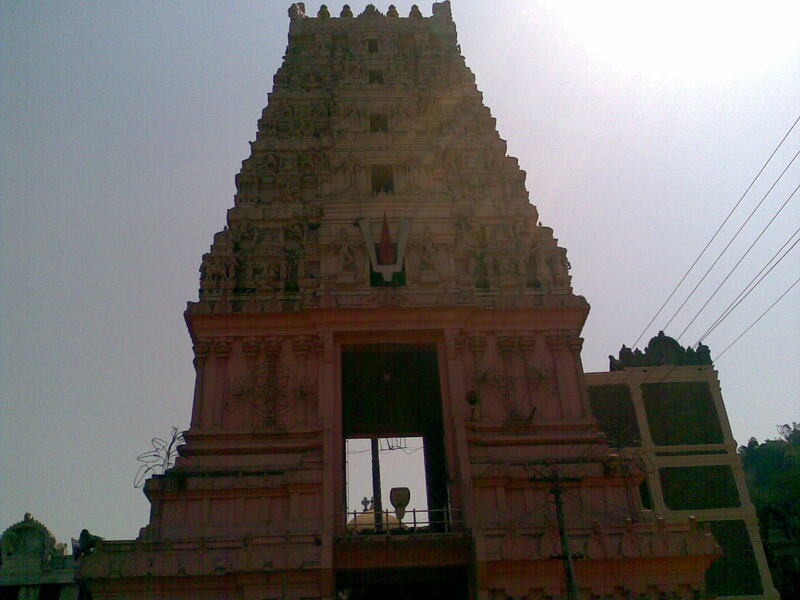 Simhachalam is dedicated to the incarnation (Avataram) of Vishnu known as Narasimha (the man-lion). The temple is a mix of Orissan (main/central shrine) and Dravidian (entrance) styles of architecture.It is one of the eighteen "Naarasimha Kshetras" i.e. shrines of Lord Narasimha in India. 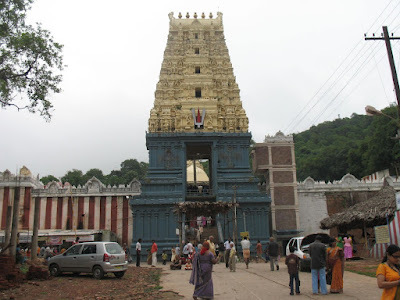 Simhachalam temple is known as the second richest temple in India (after Tirupati) earning a revenue of Rs. 520 million. Atop the hill is a famous temple said to be the abode of Varaha Narasimha Swami, and hence the hill itself is called (nara) simhachalam. The deity i.e. Sri Varahalakshmi Narasimha Swamy, the lion-man incarnation of Lord Mahavishnu is usually covered with sandalwood paste. The original shape of the deity in the tribhanga posture has two hands with the head of a lion on a human torso.